Website builder software is a great option that is out there for those who want to create a website or two for themselves. Individuals who want to build a business creating websites for others need to learn HTML and other skills for website creation from scratch. However, for the individual who wants a simple website of his or her own, website builder software allows you to put one together and have it up and running in as little as a few hours. Choosing website builder software that meets your needs requires a little knowledge. The most common type is referred to, by those in the industry, as WYSIWYG builders or What You See Is What You Get builders. These are extremely simple to use and can be easily manipulated effectively by anyone who knows his or her way around a word processor. You basically choose templates, type in your text, use editing tools to make changes, select colors, insert photos and voila you’re done. Adding links is done automatically. When you are finished, you click submit and the site will be published for you. It is the ultimate in convenience for website building. WYSIWYG builders are often included in web hosting packages. There are two main types: online versions that you can use anywhere and downloadable versions that you can use offline and upload your pages when they are finished. There are many different versions of WYSIWYG builders with differing product quality. 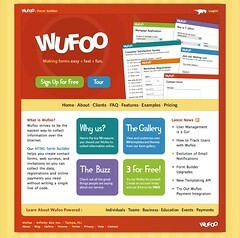 There are usually tutorials and demos available to help you through the process of building your web pages. There may even be trial offers so you can try them out before you buy them. When you select the web host company and the website builder software, typically you pay the web host company per web site page. – Can this software support the kind of graphics I want on my web site? – Does this software allow me to offer message boards, polls, membership sign-ups and other interactive features? If not, a Content Management System with opensource may be a better option than a WYSIWYG builder. – Am I too limited in what I can do on my website by used this type of builder? – Is this builder user-friendly enough for me? – Do I want website builder software that is attached to a web hosting company? You can find website builders that are independent of web hosting companies which makes it easier if you decide to switch hosting services in the future. Make sure you look into multiple different website builder software available before you make your choice on the type of software you want to use to create your website. Having a plan for the number of pages and how you expect each page to look, as well as knowing the amount of interactivity you plan to have on your site will help you make the right choice when it comes to a website builder software for you. A professional looking web page is easily achieved with such software and after all, isn’t a good website a must-have in today’s business world! Jason Kay recommends reviewing the best website builders to better choose the right one for you. This entry was posted in Site Launch System and tagged Builder, Choose, Software, Website on 03/28/2011 by .